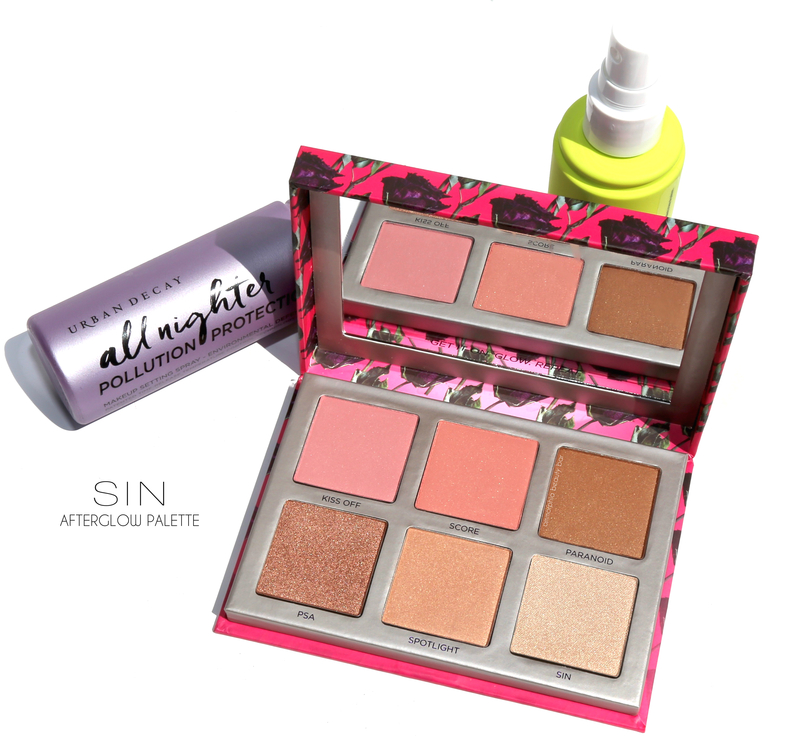 SIN Afterglow Palette Highlighter + Blush (CAN $50.00) | Housed in hot pink sturdy cardboard packaging that’s covered in purple roses, the inner lid bears a full-size mirror and the whole caboodle snaps securely & magnetically shut. 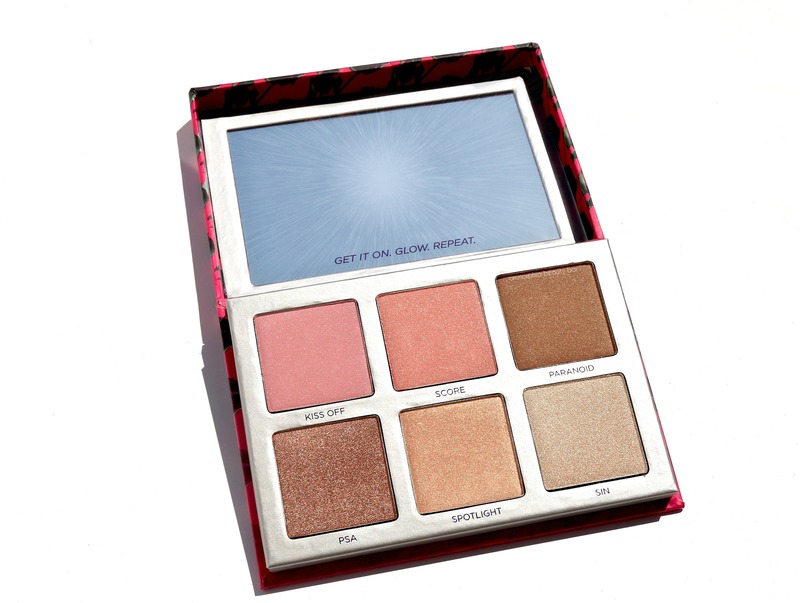 The top tier holds 3 universally wearable blush colours in the brand’s finally milled powder formula that’s highly pigmented and which blends out effortlessly along the skin, while the bottom row has 3 highlighters that will also suit a broad variety of skin tones, with a formula that is buttery smooth and utterly brilliant — yet never overpoweringly so. 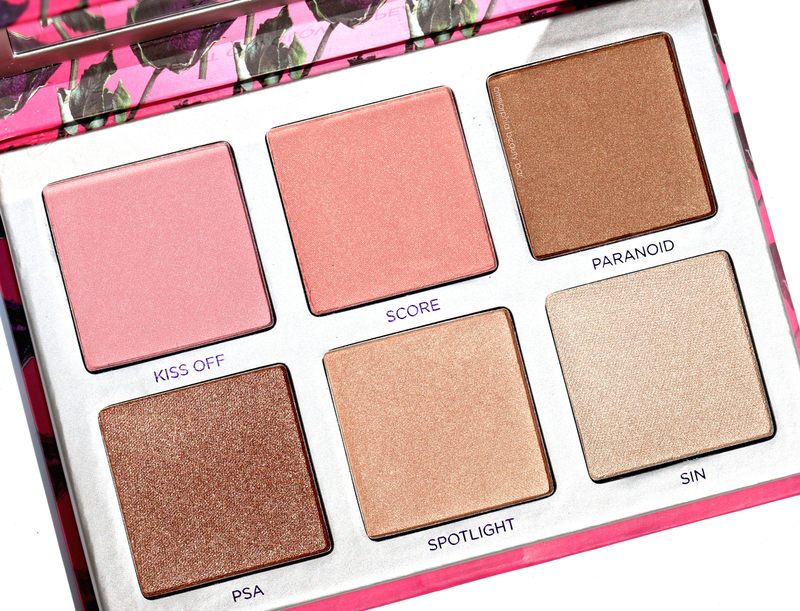 You can even customize the shades by mixing & layering them together, thereby creating unique new colour combinations and finishes. When worn over primer/foundation, the staying power of all is excellent throughout the wearing, showing minimal fading in the long run. 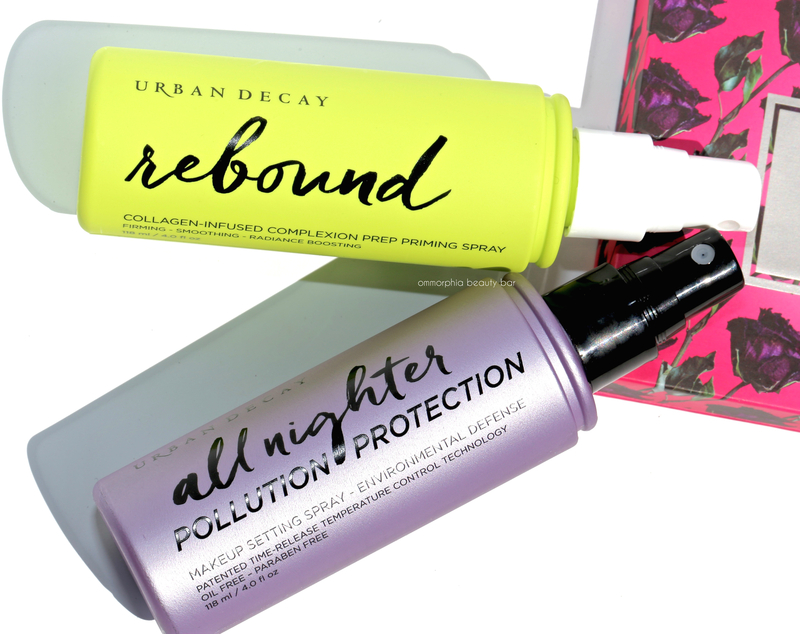 Urban Decay has expanded their cult-fave complexion sprays (all previously reviewed here) with the addition of these two and for fans of the original All Nighter, you may rejoice because this rebooted version now also comes with an environmental defence factor. But before you even think of ‘finishing’, you need to prime and what’s interesting about Rebound, is that despite its described purpose, this is one mist you can actually use throughout the day as well. I can’t say for sure what the collagen infused part does, but I do notice a difference in the way my foundation applies with this misted on first. The scent is light and pleasant (and thankfully, not very discernible either) and once set, the finish leaves a subtle velvety feel behind along the skin — sort of like a building block for anything that follows, if you will. 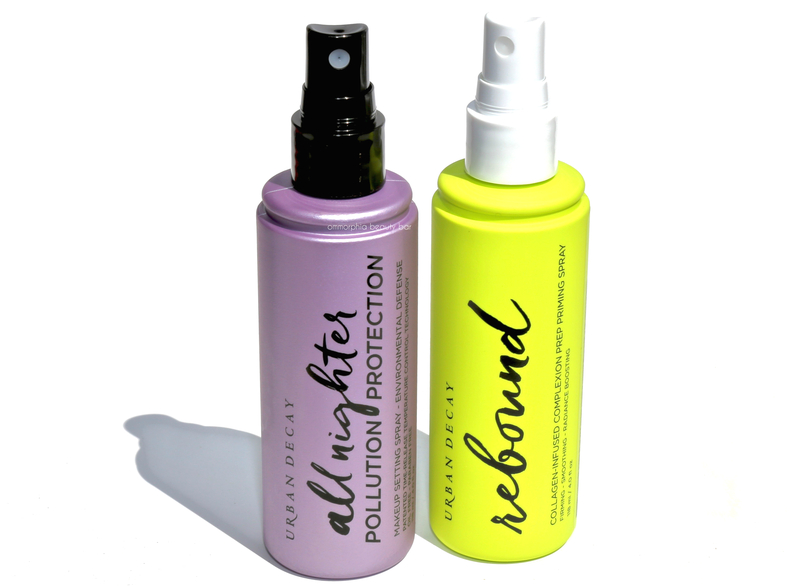 All Nighter Pollution Protection Setting Spray (CAN $40.00) | As someone with an oily T-zone, my makeup frequently winds up looking shiny and not the dewy look I may be going for — which is why a setting spray that keep everything looking as fresh as the moment it was applied, is something I’ve come to rely on. One such spray I usually reach for has long been the original All Nighter so I feel confident that this version is going to be equally welcome. The mist is light and sprays evenly along the face and while it does seem somewhat stronger than Rebound, it thankfully does not disturb the makeup beneath. Taking things up a few notches, it’s also infused with minerals such as zinc, magnesium, and copper that protect against free radicals and help shield against environmental damage. Finally, the patented time-release Temperature Control Technology in the formula provides a burst of cooling freshness at initial contact with the skin, and actually lowers the temperature of your makeup which in turn helps it last longer. Win-win. 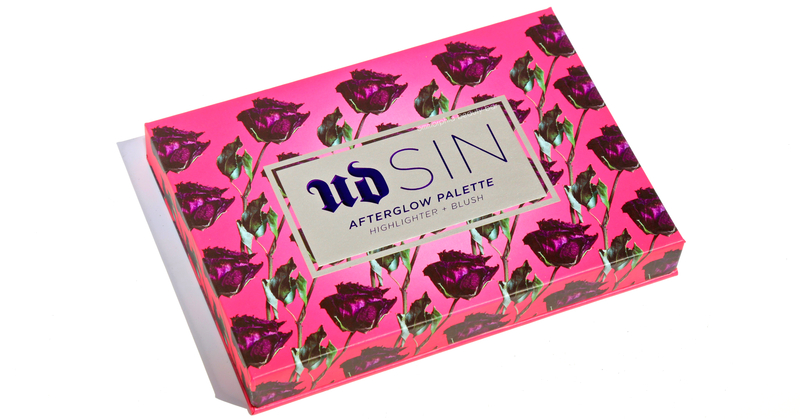 I have to say that Urban Decay has been certainly impressing me with recent launches, but what makes the Sin Afterglow Palette a winner, is the utterly beautiful texture of the powders and how they provide skin with a radiance that just exudes ‘health’. 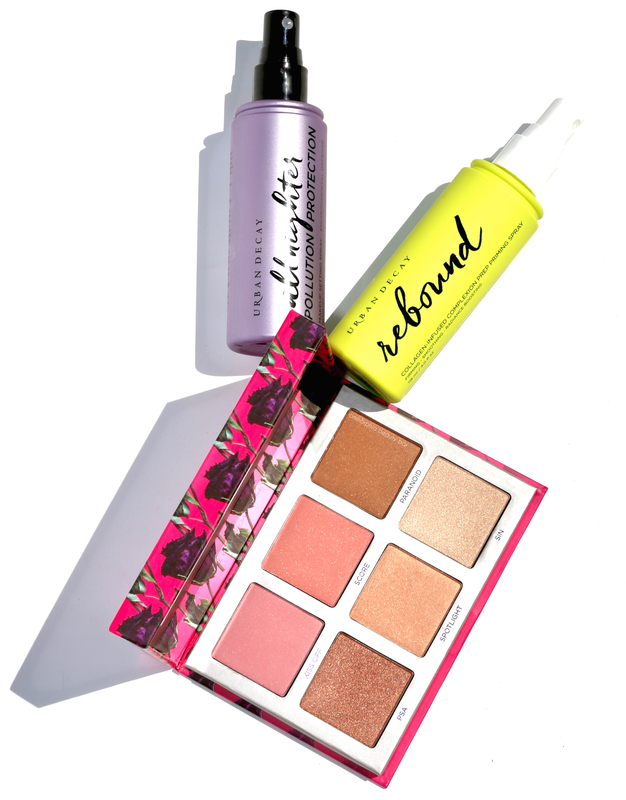 And if it’s brilliance you’re after, these highlighters definitely bring it — but they can also be whisper light if need be; it’s all in the application. 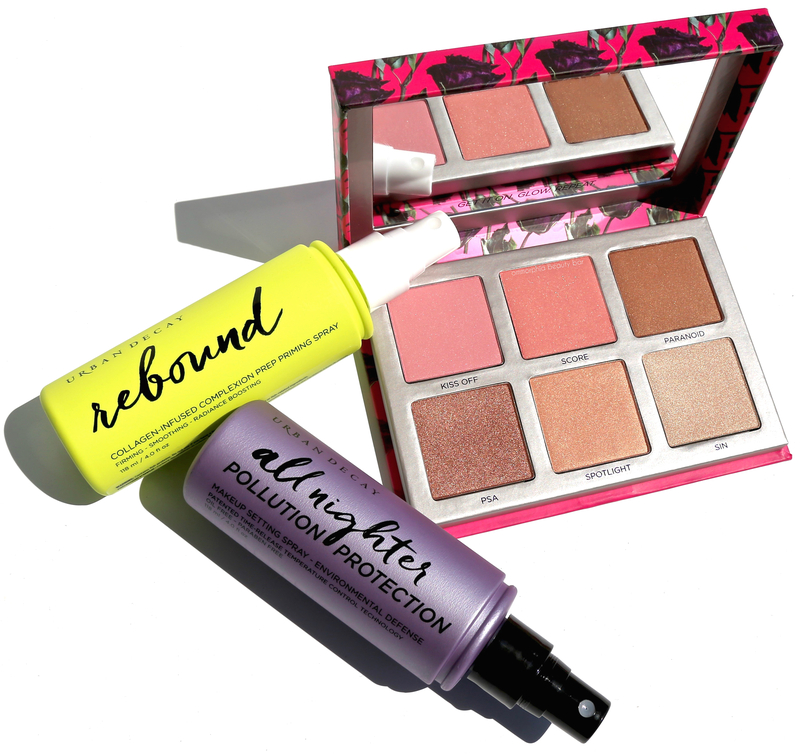 Finally, if you’re in the market for complexion sprays, you really need to look at Urban Decay’s offerings because they have some amazing options that totally deliver … and work with you, to boot.